Never a dull moment across the Atlantic at the World Series of Poker Europe, this time it was a bizarre ending to the €10,450 Mixed Max Event following a perfect storm of silliness. The tournament began it’s final heads up matches two days ago but was forced to pause the action when Brandon Cantu complained his way through a 9 hour match and then the final between Cantu and Jon Aguiar was paused because the casino was closing. I thought last call in a casino was silly, but closing it all down? The match had to wait while both players were in the Main Event but both were knocked out on Day 1. Aguiar finally put this one to bed with his first career WSOP bracelet but there is no truth to the rumor he blamed Joe Sebok for the delayed victory. Cantu stayed true to form and spent several spastic minutes in front of the PokerNews video camera (video below). 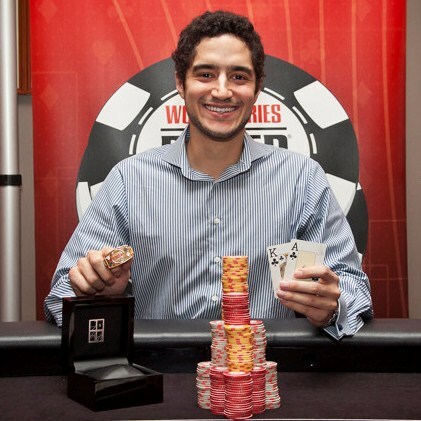 Tweet of the Day – Jon Aguiar dedicates his WSOPE victory. I did it! That was for you grandpa!!! Tweet of the Day 2 – There are just far too many golden tweets from Mister Cantu so I picked just one. If you need a chuckle, check out his timeline. PokerCast Episode 239 – Howard Lederer – TwoPlusTwo has a followup podcast with Lederer after his 7 hour PokerNews marathon. I haven’t had the time, or fortitude, to endure another 3 hours so I’ll wait until someone writes a recap. Lederer backs out of scheduled interview, cites hardship on himself and his family – And then Lederer backed out of a scheduled interview with Diamond Flush Poker. After the soft serve given to Andy Bloch, not sure exactly how much more information would have be gained. bwin.party Sells Ongame Poker Network For Up To €25 Million – “Amaya looks forward to unleashing Ongame’s technology to its full potential”, kind of sounds like an evil genius trying to take over the world instead of a small B2B poker network. 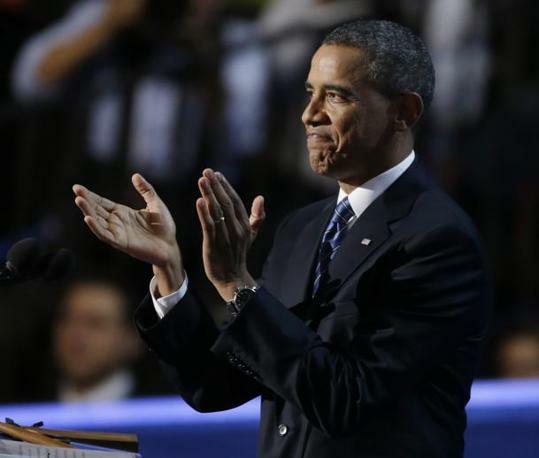 Obama’s poker tells – So we can’t play online poker here in the States but we can use badly thought out poker metaphors when writing an op/ed about the Presidential election. WSOPE 2012: Brandon Cantu Speaks his Mind – PokerNews has perhaps the single greatest stream-of-consciousness, whiny interview since the last time someone stuck a camera in Hellmuth’s face. God bless you Brandon Cantu, never change. The $1,000 Ladies’ Championship just finished as Vanessa Hellebuyckmade quick work of Sidsel Boesen in heads-up play. Hellebuyck wins the specially designed ladies’ WSOP bracelet along with $192,132, with Boesen earning $118,897 for her runner-up finish. Timmi Derosa, fiance of veteran pro Lee Watkinson finished third for $74,389. Team Pokerati Asia member La Sengphet finished in 7th for $22,278. Full results and Nolan Dalla’s tournament report will appear later over at wsop.com. The $2,500 Limit Holdem 6-max field is down to a final table of six as they take a one-hour dinner break. 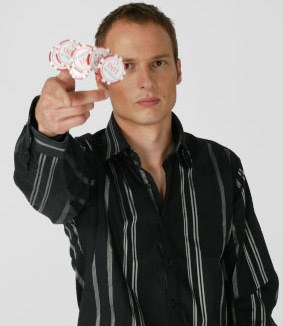 Russ “Dutch” Boyd is the current chip leader with 745,000. He’s followed by Albert Minnullin (696,000), Brian Meinders (635,000), Al “Sugar Bear” Barbieri (305,000), Domenico Denotaristefani (282,000) and Art (formerly known as Julian) Parmann (219,000). A field of 1,358 registered for day 1b of the $1,000 No-Limit Holdem has completed six levels of play as the survivors are currently on dinner break. In total, 3289 signed up for this tournament with the top 342 making the money, with the winner earning a cool $503,389. Less than 600 players remain this evening, with the current reported chip leader being Chad Batista with 38,000. Notables with a healthy stack include Eric Froehlich (23,000), Brandon Cantu (15,500), Michael Binger (14,000), Isaac Haxton (9,500) and Robert Varkonyi (8,300). Play will end halfway through level nine, mirroring the day 1a field, with those still having chips combining at 2:30 Monday afternoon. James “Flushy” Dempsey is looking for his second bracelet of the WSOP as he leads the remaining 73 players with 224,000 in chips as the $10,000 Omaha Hi/Lo 8 or Better World Championship field returns from dinner break soon. Some of the notables with a decent stack include Sammy Farha (220,000), Chino Rheem (194,500), Eric Baldwin (130,000), Phil Hellmuth (98,000), and Matt Glantz (81,000). The field makes the money when 27 remain, as they’re scheduled to play ten levels or reach the final table. Follow all the results and updates over at PokerNews or wsop.com. I gotta say, @Phil_Hellmuth really is turning into one of the best poker reporters out there … I read his blog, follow his tweets and generally occasionally love his vids; you can tell he is actively working on his 21st-century media game. Most recently, at his own TASER Foundation charity tourney in Phoenix — the biggest high-society charity poker shindig of the year in Arizona — he was there to report on Brandon Cantu’s being shot with a taser gun … Cantu was paying off a prop-bet he lost at last year’s event with Clonie Gowen. Damn, ouch … but cool … didn’t realize you could bounce back so quickly from those things. In a battle of bracelet winners, Brandon Cantu defeated Lee Watkinson heads-up to win his second career bracelet in the $1,500 Pot-Limit Omaha 8 or Better event, good for $228,867. Day 3 of the $50,000 HORSE resumes at 2pm Sunday with 53 players remaining and Gus Hansen (686,000) the chip leader. Other notables close behind include Erik Sagstrom (560,000), Scotty Nguyen (463,000), and Tony G (433,000) in the top 10. The entire list can be found here. Christopher Bonita (131,700) will start day 2 of the $1,500 NL Holdem event when play resumes at 2pm. Other notables include: Cody Slaubaugh (125,900), Jason Potter (100,100), Amnon Filippi (77,700), Men Nguyen (71,200) and Joe Reitman (41,200). The noon tournament is the debut of the $3,000 NL Holdem Triple Chance event. With no rebuy tournaments this year, the twist is that players start with 3,000 in tournament chips. They’re also given two “add-on” chips, each good for an additional 3,000 in chips. These can be used any time within the first three levels and any players who still have the chips will have it added to their stack at the end of level three. The WSOP Staff Guide projects a field of 700 for this event. The 5pm tournament today is the $1,500 Seven Card Stud 8 or Better event, which was won last year by Ryan Hughes for over $180,000 in a field of 543. The WSOP Staff Guide projects a field of 598. 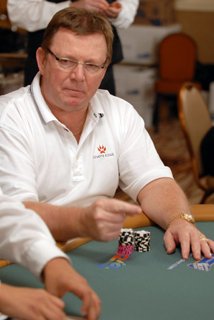 Recapping the rest of Friday night’s WSOP, and paying respect to the passing of Lee Munzer (1943-2009). Day 1 of the $50,000 HORSE has 91 of the 95 original entrants remaining, with Hasan Habib holding the chip lead. The list of notables with chips is too many to mention, but you can see who else is remaining by checking out this link. Day 2 will begin around 2pm4pm with another sixfive levels of play scheduled. 64 players remain from the starting field of 571 in the $1,500 Limit Holdem Shootout. Among the first round winners: Jean-Robert Bellande, Nick Binger, Humberto Brenes, Dan Heimiller, Juha Helppi, Greg Mueller, Marc Naalden, Brock Parker, Tom Schneider, David Williams and Todd Witteles. Eight eight-handed tables will play down to a winner starting around 2pm Saturday, with the eight winners returning Sunday. The only tournament starting today is the penultimate $1,500 NL Donkament, starting at noon today with a projected field size of 2,800 taking the felt, which will surely delay the other three tournaments that are scheduled to start later this afternoon. 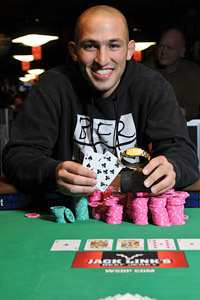 Last year’s version of this event was won by David Daneshgar in a field of 2,693, taking down over $625,000. As the players return from the dinner break, Martin Vallo is the unofficial chip leader (245,000) in the $50k HORSE event with all 95 players who registered remaining. The players are now on level four, with three more levels of play scheduled before play ends for the day. 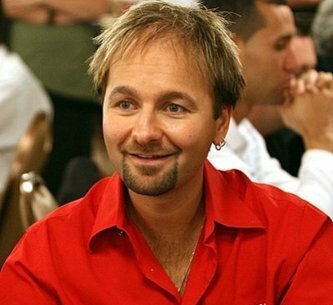 Among the early leaders, Daniel Negreanu (200,000), Jeff Lisandro, (188,000), Patrik Antonius (175,000) and Todd Brunson (168,000). Ylon Schwartz is the current chip leader (2,000,000) with three players remaining in the $2,500 Mixed Holdem event as they return from their dinner break. John McGuiness (1,200,000) and Bahador Ahmadi (750,000) round out the field. Barry Greenstein finished in 5th before heading off to join the $50k HORSE field. With 36 players remaining in the $1,500 Pot-Limit Omaha 8 or Better event, Brandon Cantu (525,000) is the dominant chip leader, with Tommy Vedes (225,000) a distant second. 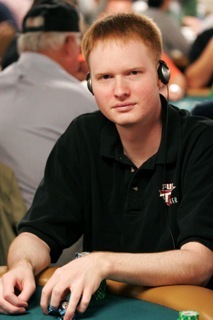 Other notables remaining: Lee Watkinson (70,000), Noah Boeken (62,000), Phil Hellmuth (58,000), and Randy Holland (46,000). The late afternoon tournament, $1,500 Limit Holdem Shootout drew a field of nearly 600, seated at 64 tables. The round one winners play at eight eight-handed tables, and those winners will return on Sunday to determine the winner. No table winners have been determined yet, but expect some notable winners included in the morning update. Catch up with all the updates over at www.wsop.com and more stuff from Team Pokerati during the evening. London professional John Kabbaj took down the $10,000 Pot-Limit Holdem World Championship for $633,335 and his first WSOP bracelet, defeating Kirill Gerasimov in heads-up play. Gerasimov has now made nine WSOP final tables without taking down a bracelet, passing Andy Bloch to become the “leader” in that statistic. Eric Baldwin finished in 3rd, followed by Belgium’s Davidi Kitai in 4th and J.C. Alvarado in 5th for an international top 5. Derek Raymond defeated Mark Tenner in a 12-hour long final table in the $2,500 Omaha 8 or Better event, good for $229,129 and a WSOP gold bracelet. Mark Tenner, Omaha-8 author and co-founder of the PPA picked up $141,647 for the runner-up finish. Perry Friedman will be the chip leader (144,500) when action resumes in the $1,500 Pot-Limit Omaha 8 or Better at 2pm Friday. He’ll be joined by Brandon Cantu (105,000), Noah Boeken (64,300), Aaron Kanter (52,000), Phil Hellmuth (41,400), and Randy Holland (38,000) among the notables. The $50,000 HORSE event starts at 12pm today for the first of five scheduled days. The big question will be how many people will enter the event, especially with no ESPN television coverage. Last year Scotty Nguyen and his drunken antics managed to win, taking down almost $2,000,000 in a field of 148. The WSOP Staff Guide projected 151 entries for this event, a similar number to the previous three years. Some say the field will fall to around 100, as some online poker sites will not put up the money for its lesser known players to participate. That will leave it to the big names (and a few that will leave people wondering) making up the field fighting it out for the most prestigious WSOP bracelet outside of the Main Event. At 5pm, the $1,500 Limit Holdem Shootout begins. Last year, Matt Graham defeated Jean-Robert Bellande heads-up for the bracelet and over $275,000 in a field of 823. The WSOP Staff Guide projects a field of 901 for this event. Pokerati will have more about the WSOP during the day, and follow www.wsop.com for live updates during the afternoon. Mark Tenner remains the chip leader with 6 players left in the $2,500 Omaha 8 or Better event. Josh Schlein, Fabio Coppola, Derek Raymond, Scott Bohlman, and Sirous Jamshidi round out the remaining field. Mark Gregorich finished in 8th, while Team Pokerati’s own Pat Poels finished in 9th. Eric “basebaldy” Baldwin is the current chip leader with 7 players remaining in the $10,000 Pot-Limit Holdem World Championship, returning shortly after 8:30pm PT and streaming at www.bluffmagazine.com/live and wsop.pkr.com. Davidi Kitai, John Kabbaj, J.C. Alvarado, Kirill Gerasimov, Eugene Todd and Jason Lester are the remaining players at that final table. Joe Kuether is the current chip leader (296,000) with 28 players remaining in the $2,500 Mixed Holdem event as they will end with either a final table of nine or when the clock strikes 3am. Randy Haddox is in second place (290,000) with Ylon Schwartz (245,000), Matt Matros (240,000), Barry Greenstein (227,000), and Gavin Griffin (145,000) in the top 10. PLO 8, Flopping the Nuts is Great! A field of 762 entrants started the $1,500 Pot-Limit Omaha 8 or Better event Thursday afternoon. When the players return from their 90-minute dinner break, approximately 270 players remain. No chip leader has been announced, but before the break Brandon Cantu was around 35,000 with Phil Hellmuth at 27,400 followed by Noah Boeken at 25,500. Check the live updates at www.wsop.com and Pokerati for other stuff during the night. Recapping the conclusion of Monday’s play… and looking forward at Tuesday’s action ready to get underway. Ray Foley, a business manager for Chrysler Financial, bested Brandon Cantu headsup to take down the $1,500 NL Holdem event early Tuesday morning, collecting $657,969 along with his first WSOP bracelet. Cantu was hoping to pick up his second, starting heads-up play and had Foley drawing to two outs in what appeared to be the final hand, but Foley caught a third ten on the turn to pass Cantu’s flopped pair of kings to take the lead. Foley’s Q-J outkicked Cantu’s J-7 on a jack high board in the final hand to send Foley, a resident of Northville, Michigan home the winner. 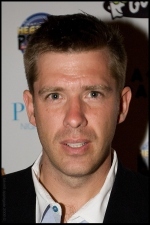 Alex Jacob was the only other notable at the final table, finishing third. The $10,000 Pot-Limit Omaha World Championship was won by Matt Graham, coming back from a 9 to 1 chip deficit to win his second career WSOP bracelet. The other three previous WSOP bracelet winners finished 7th, 8th and 9th (Josh Arieh, Richard Austin and Barry Greenstein respectively). 14 players remain in the $2,500 8-Game Mixed event with Jon Turner (469,200) the chip leader when play resumes at 2pm. Other notables returning: Adam Friedman (325,800), Layne Flack (283,400), former MMA fighter and bracelet winner Rami Boukai (137,700), and Jimmy Fricke (47,400). Lloyd Shinn of Dallas (86,500) leads the 397 players returning for Day 2 of the $1,000 Seniors NL Holdem World Championship at 2pm. Former WPT winner Eric Hershler (82,500) is in second. 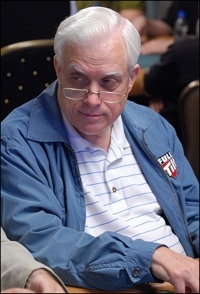 A few names stand out among the remaining players, such as Jerry Reed (38,500), former WSOP Main Event winner Berry Johnston (29,400), “Minneapolis Jim” Meehan (27,400), and Hall of Famer Barbara Enright (24,600). Day 2 of the $2,500 Razz has Warwick Mirzikinian the leader (59,400) of the 118 players returning at 2pm on Tuesday. The field started with 315 players, only 32 making the money. Notables also returning include: David Chiu (41,800), Kenna James (38,600), Ville Wahlbeck (35,300), Justin Bonomo (30,600), Daniel Negreanu (21,900), and Archie Karas (15,900). Another two tournaments on Tuesday, starting with the $10,000 Pot-Limit Holdem World Championship, won last year by Nenad Medic for almost $800,000 in a field of 352. The 5pm tournament is the debut of the $2,500 Omaha 8 or Better event. The WSOP Staff Guide projects a field of 370 for the 10k PL Holdem event, while in the $2,500 OHL, a field of 525 is projected. The $1,500 NL Holdem event is now on dinner break, returning with eight players remaining. Roy Foley is the current chip leader, with Brandon Cantu currently in second, with Alex Jacob in third. The $5,000 NL Holdem Shootout has one table remaining before play concludes with the five winners of their six person table. Andrew Licthenberger, Danny Wong, Maxim Lykov and Peter Traply have already claimed their seat, while Nasr El Nasr and Barny Boatman are playing for the last seat. Phil Ivey was at the same table as El Nasr and Boatman, finishing 8th to move into the lead in the WSOP POY standings if the criteria doesn’t change. Thang Luu is trying to prove he’s not an Omaha-8 wonder, as he’s the current chip leader (150,000) in the $2,500 Mixed Event with 54 players remaining, 40 making the money. Other notables with chips: Michael Binger (115,300), Layne Flack (80,000), Blair Rodman (67,500), Jimmy Fricke (50,000) and Robert Williamson III (30,000). Play will continue until the 3am deadline or when 8 players remain, whichever comes first. A capacity field of 2,707 members of the over 50 set started the $1,000 Seniors NL Holdem World Championship with about 900 players returning after the dinner break with four levels remaining in the day. The $2,500 Razz event drew a field of approximately 300 (including Pokerati’s own Tom Schneider) to the Amazon room, with those sick enough to play razz playing eight levels before play ends for the evening. No official chip leaders have been named in the above two events, but those who head to www.wsop.com should find updates during the evening hours. Jeff Lisandro became the third double bracelet winner of this year’s 2009 WSOP when he took down the $10,000 7 Card Stud Hi/Lo 8 or Better World Championship a couple hours ago defeated Farzad Rouhani at about 4am Vegas time. Lisandro pockets over $430,000 for his victory as well as several hours sleep before he comes back to the Rio Sunday to hear Italy’s national anthem this afternoon. When he won his first bracelet two weeks ago in the $1,500 7 Card Stud event, the Australian national anthem was played, making him the first to have two anthems played. This is also the first time more than two players have won multiple bracelets since when six players (Chan, Ferguson, Juanda, Hellmuth, Flack, and Men Nguyen) won bracelets in 2003. His second bracelet also moves him into a tie for first in the red-hot WSOP Player of the Year Race. This was event #36 of the WSOP, and after only one woman (Annie Duke) had made a previous final table, there were two at this one. Almira Skripchenko who is more well known for her successes in chess, being an FIDE Woman Grandmaster, finished in 7th place, good for $78,644. Laurence Grondin from Montreal, Quebec, Canada finished in 3rd for $237,537. O’Dell, Johns, Hang and Porter list Washington state on their bio sheet, which may be the first time Washington state has represented so strongly at a WSOP final table. Moshin Charania finished day 1 of the $1,500 NL Holdem event the leader with 144,100 in chips with 327 players remaining, of which 270 make the money. Brandon Cantu (86,600), Grant Hinkle (85,800), Jeff Williams (66,200), Eric Baldwin (63,400) and Shane Schleger (63,000) are some of the players who won’t be playing the Sunday tournaments online, as they’ll be returning to the Amazon room at 2pm. Nate Lindsay from San Francisco is the chip leader (482,200) at the end of day 1 in the $10,000 Pot-Limit Omaha World Championship with 116 players remaining, only 27 getting paid. Noah Schwartz (292,600), Ilari “Ziigmund” Saharies (229,400), David Williams (223,000), and Josh Arieh (220,600) round out the top five. Steve Zolotow (220,200), Ben Grundy (191,000), Tom McEvoy (142,800), Erick Lindgren (120,900) and Jimmy “Gobbo” Fricke (108,000) are just some other notables back for more action at 2pm as they attempt to make the final table. The 12pm tournament day is the $5,000 NL Holdem Shootout which was won by Phillip Tom in a field of 360 for over $475,000. The WSOP Staff Guide projects a field of 396 for this event, but if it’s slightly above that, it could cause a bit of a problem for tournament staff. The payout structure for the shootout event pays 40 spots if the field is between 378 and 420, which would create 11-player tables for the first round if the field size is in the 401-420 range. The 5pm tournament is the debut of the $2,500 8-Game event which consists of HORSE, NL holdem, PLO and 2-7 triple draw, with a projected field size of 250. The first of three final tables has reached its conclusion as Jason Mercier took down the $1,500 Pot Limit Omaha event as he went on a rush when it got to six-handed to take the chip lead, beating Steven Burkholder heads-up to take down a WSOP bracelet to go along with his two EPT titles he earned in 2008. The other two final tables the $1,000 NL Holdem “Stimulus Special” as the players are about to return from their dinner break, with Steve Sung the chip leader at 8,700,000 followed by “Pete the Greek” Vilandos (5,930,000) and James Matz III (3,650,000). You can watch the conclusion of this final table on ESPN360 or http://wsop.pkr.com for those without the ESPN service. The $10,000 7 Card Stud World Championship is also down to their final three with Freddie Ellis (2,330,000), followed by Eric Drache (1,435,000) and Ville Wahlbeck (495,000). The two Day 2 events are moving towards their conclusions, one much more likely to reach a final table than the other. Twelve players remain in the $2,500 NL 2-7 Draw Lowball event, with John Monnette holding the chip leader. They’ll be playing down to a final table of 8 with Tony G, Layne Flack, Phil Ivey, David Grey and Freddy Deeb the players you’ve heard of remaining. The $1,500 NL Holdem event is currently down to about 110 players, trying to get to their final table for their Internet broadcast tomorrow at 2pm on bluffmagazine.com. People you’ve heard of remaining: Brandon Cantu, Jacobo Fernandez, Nancy Todd Tyner, Grant Hinkle, and Michael Martin. The $1,500 NL Holdem 6-max event drew a field of 1,459 which was down to 318 after the dinner break, while the $2,500 PL Holdem/PLO event drew a field of 453 which has been whittled down to 261 as they take their dinner break. See who’s remaining in those fields over at www.worldseriesofpoker.com and I’ll be back with more stuff tomorrow.